Now that bare foot bowling is all the rage lawn bowling clubs need to step up to the make and offer online booking facilities for booking rinks. 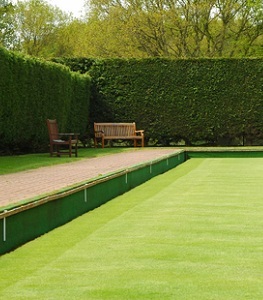 Managing a busy lawn bowling club is time-consuming. With bookitlive booking & payment software, you’re free to concentrate on the green. bookitlive allows people to book and pay for rinks online, and lets you easily make, change and track your bookings. You can use your client database to market your quite times using email and SMS. bookitlive is a leading provider of cloud based online booking & payment software for booking Barefoot Bowling in Australia and New Zealand. The key to getting more people to find your business online is for your key business words to rank on the first page of a search engine results. This does not happen by accident, it involves optimizing your web site to rank higher in search results. Here are some SEO tips that I have used to increase my website ranking. 1. List your business on a directory listing site to get backlinks to your website. Better still if you are a service based business and need to book appointment having an account on bookitlive gives you the same result. 2. Do what I am doing here and create a blog. Blog about something related to your business and provide links back to your website. 3. Write articles and load the article onto article website. Remember to include links back to your website. 4. Create great content on your website and then link back by blogging or writing articles. 6. Create a facebook page and provide great content, link back to your website. 7. Create a Google Plus page, add content and link back to your website. 10. Lots of keywords, you should be conscious of placing appropriate keywords throughout every aspect of your website. The title tag and page header are the two most important spots to put keywords. If you are creating a new website Google Adwords may be the best way to kick start your business as you will have to choose your keywords. You will appear on the first page albeit in the paid results. When you’re running a busy Servicing Centre, time is money. With bookitlive booking software behind your automotive business, you can put down the phone and get back under the bonnet. bookitlive allows your clients to book online, and lets you easily make, change and track your bookings. You can manage your client database and access individual service histories, advertise online and much more. bookitlive software is smartphone compatible, so your business is always in your pocket, wherever you are. Access your calendar and booking software, view your daily schedule and receive instant updates when a new booking is made. Eliminate no-shows with an automated reminder sent to clients the day before their scheduled car wash, tune up, repair job or roadworthy. And keep them rolling through the garage doors with an SMS prompt when it’s time for their next service. Keep your automotive business on track; let bookitlive handle the scheduling. NRMA in NSW is currently using booitlive to manage the booking process for 16 Motorserve Car Servicing and Repair Centres.